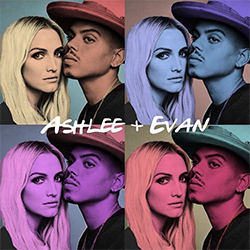 I Do: An Interview with Ashlee Simpson and Evan Ross. The Ashlee + Evan EP features a variety of different sounds. Is there one track that you think most represents who you are as a duo? Each song means something different to us and they’re each so special in their own way. Our single, I Do, is special because we declare our love for each other. Home is about how we built this special world we get to live in together. And songs like I Want You and Tonic are just so fun to perform together. As you both come from musical families, how have their influences helped shape your current or future projects? We are so thankful & lucky for the support we receive from our families. They’re always available to talk and are uplifiting. We love them so much! What is the biggest misconception about creating music and/or touring with your spouse? What are the positives and challenges of performing as a duo? The positive is that we get to spend time together! We decided to do this project because we were barely seeing each other because of our work schedules. This special project brought us together and we’ve had a blast being around each other! The biggest misconception is that it would be difficult to spend so much time together but actually it was really fun for us! Ashlee, you incorporated a number of your older songs like “Pieces of Me” into the setlist, which were written when you were a teenager. How did you get back into that mindset? Those songs meant a lot to me back then and will always be a part of who I am. It’s easy for me to perform these songs all over again. And it is so fun to bring back that time in my life! Describe both of your songwriting processes separately, and how did you merge them together? We both have different ways of writing but when we come together it’s about coming in with an open mind and letting the process flow how it’s supposed to. Ashlee, you made your debut during a time where female pop artists had a lot of pressure to fit a certain mold. Do you approach your career and your public persona differently in today’s music industry? I learned a lot because I grew up in this industry. These days, I’m comfortable in my own skin and know who I am. I’m now a mom! Which is one of the most beautiful things. So I find that I make sure there’s time for my kids as well as getting into the studio and hitting the road for tour. I want to set a good example for them. What are your favorite things to do on a day off in between shows? We like to relax and spend time with our family. We’ll watch movies and order Postmates. That’s our favorite. What are each of your biggest goals personally or professionally for 2019? We’re excited to go back into the studio to finish our 2nd EP together. AND we’re both going back into the studio for our solo projects. We can’t wait to see what comes from those sessions. Plus of course, we want to make sure our kids have an amazing year of growth, happiness and health. 2019 has already started off great because of our first tour together, but we can’t wait to see what else it holds for us! The Ashlee + Evan EP can be found on iTunes and all major streaming platforms. Make sure to follow them @ashleesimpsonross and @realevanross on Instagram for all of the latest news!